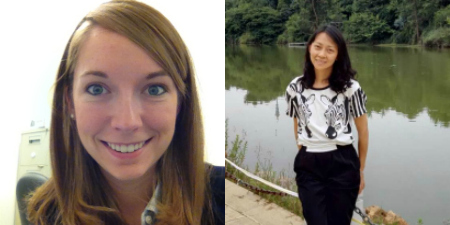 Psychology graduate Students Yu Zhang and Sara Goodman are the recent recipients of the Frank X. Barron Creativity Award, a scholarship that awards students who are researching areas broadly defined by one of UC Santa Cruz’s most distinguished faculty. Barron, a Professor Emeritus of Psychology, helped establish UC Santa Cruz as a campus where creativity research is a respected enterprise, and where students and faculty alike understand that human creativity can contribute to psychological health, personal freedom, and social well-being. Read more about Zhang and Goodman in "In Their Words," a new column where students across the Division of Social Sciences share what UC Santa Cruz means to them, advice for fellow students, and plans for the future.